Vientiane (VNA) – Vietnam and Laos have agreed to increase the exchange of experience in poverty reduction and social welfare fulfillments in border areas, thus improving the material and spiritual life for local residents. 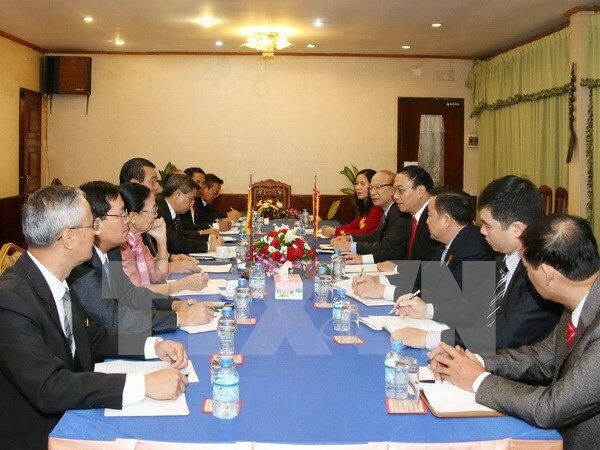 The consensus was reached during talks between Laos’ National Committee for Rural Development and Poverty Eradication and the Steering Committee for the Northwestern Region of Vietnam in Vientiane on November 3. They also consented to boost collaboration in socio-economic development, education-training, and national defence and security between the two countries’ border provinces. They held that the implementation of the guideline to build a shared border of stability and comprehensive development has reaped significant outcomes, contributing to consolidating and developing the special friendship between the two countries. Hailing the results of cooperation in border areas with Vietnam, the Lao side described these as the model for affiliation in poverty reduction in border, remote and far-flung areas. The cooperation has brought about pragmatic benefits to Lao people, helping the country fulfill targets set in the seventh five-year Socio-Economic Development Plan, the Lao delegates said.